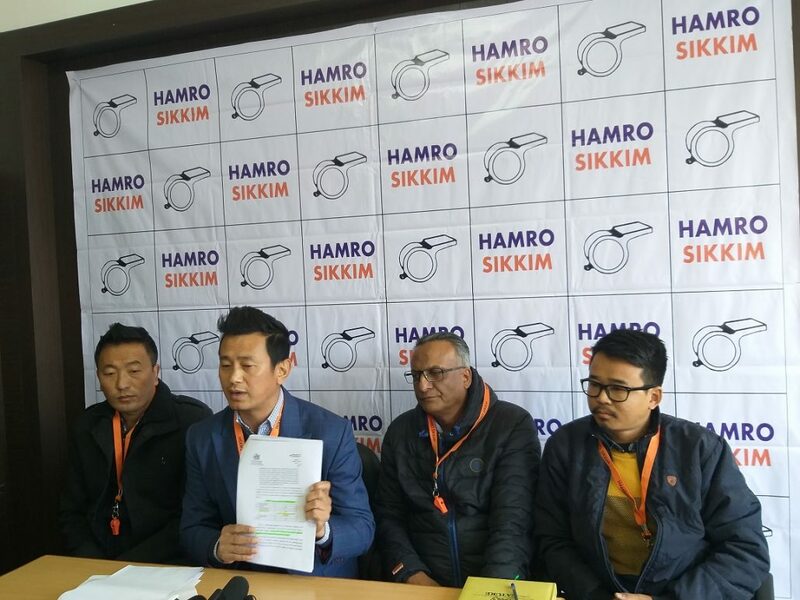 Hamro Sikkim Party (HSP) has hit out at State Chief Minister Pawan Chamling of maintaining double standard on the issue of seat reservation for Limboo and Tamang in the State Assembly. The party has further alleged that the chief minister has been making promises to the people to immediately reserve seats for Limboo and Tamang in his speeches in the State but in reality instead to ask seats for Limboo and Tamang , the chief minister has been asking scheduled tribe seats to confuse the Centre. Addressing a press conference in Gangtok on Sunday, HSP working president Bhaichung Bhutia stated that the chief minister has been making false promises to the people of Sikkim to immediately reserve seats for Limboo and Tamang in the State but memorandums and letters of the chief minister to the Centre has been asking ST seats and not Limboo and Tamang seats. He mentioned that a memorandum of the SDF government signed by 28 MLAs and 2 MPs of Sikkim submitted to the Prime Minister on June 15 way back in 2016 demanded ST seats and not seats for Limboo and Tamang. He added that the State government has also presented its formula for the seat reservation to the Centre with two options on the basis of 40 seats assembly. Bhaichung also mentioned that the State Government has given the first option to reserve 20 seats for ST to adjudge seats for Limboo and Tamang. At the same time, he stated that on the basis of this option, Limboo and Tamang have to wait for other communities to get the tribal status. He mentioned that in the second option, the State Government has asked five seats for Limboo and Tamang as tribal seats on the basis of 40 seats formula.